Looking at the Afternoon Teas menu, there is a variety of choices, which also includes gluten free and vegan. 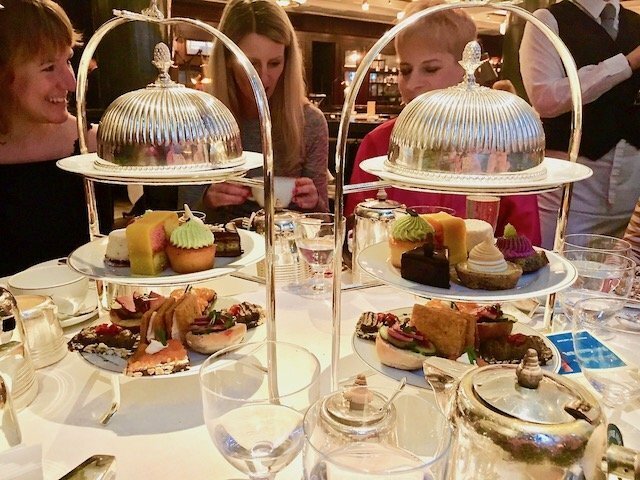 This is great for those people that would like to enjoy an afternoon tea with friends but sometimes cannot because of the lack of food choices! The Afternoon Teas menu offers a choice between The Delaunay Afternoon tea, the Champagne tea and the Cream tea. We thought we would try a variety of the above and we were quite impressed. 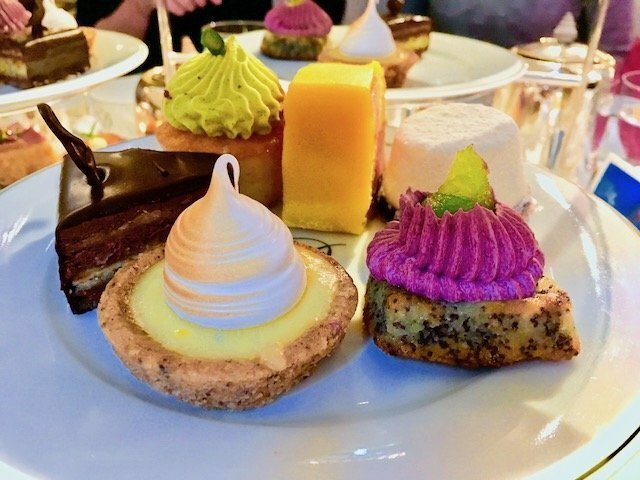 The Delaunay Afternoon tea, priced at £19.75 offers a selection of Viennese cakes, the traditional German cake called Gugelhupf with apricot jam and whipped cream or fruit scones with strawberry jam and clotted cream. A choice of teas and savoury sandwiches accompany the above delicacies. 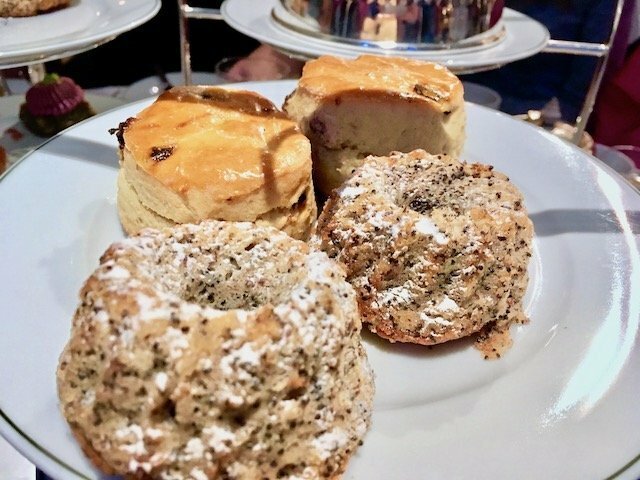 The Champagne tea comes with The with apricot jam and whipped cream or fruit scones with strawberry jam and clotted cream Afternoon tea accompanied by a glass of Champagne Pommery brut Royal. Last, but not least, one can choose a Cream tea with the traditional German cake Gugelhupf with apricot jam and whipped cream or fruit scones with strawberry jam and clotted cream and a choice of teas. The overall tea experience at The Delaunay was very nice, with good food, a pleasant ambient and great waiting staff. 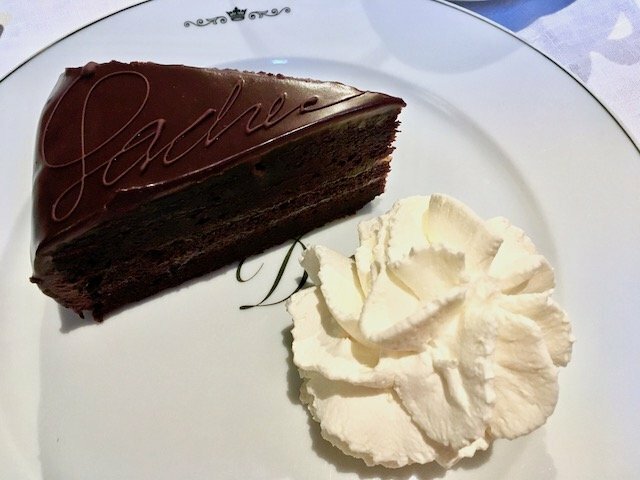 I would recommend any of the three tea selections but if you want to try the Sacher Torte just be aware that this one is not at all like the original Viennese Sacher Torte, more an English version of that. 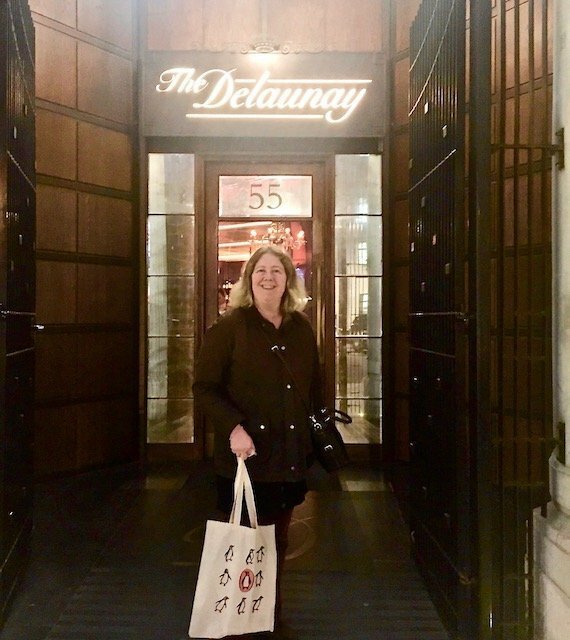 I would give The Delaunay a score of 8/10 for the overall experience. This entry was posted on Sunday, February 10th, 2019 at 11:06 am and is filed under Great Indoors. You can follow any responses to this entry through the RSS 2.0 feed. Both comments and pings are currently closed.